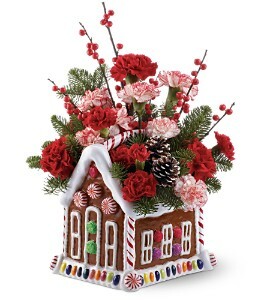 This delightful hand-painted gingerbread house filled with jolly flowers brings a new sweetness to this magical season. 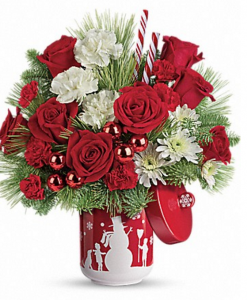 Guaranteed to brighten the spirits of anyone of any age who reallllly loves Christmas! 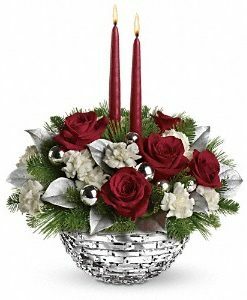 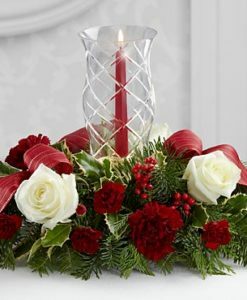 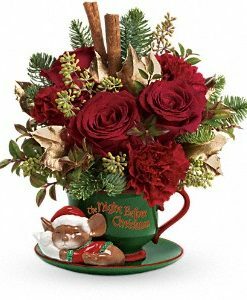 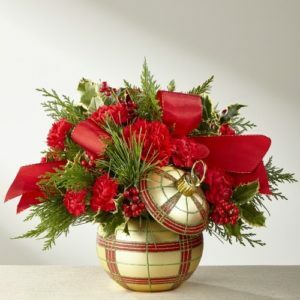 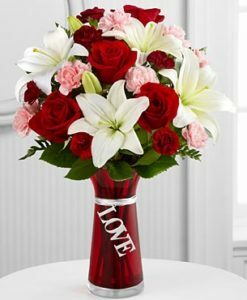 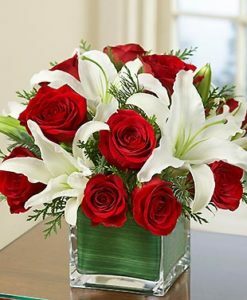 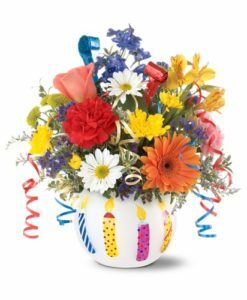 Arrangement includes red carnations, peppermint carnations, miniature red carnations, miniature peppermint carnations accented with Noble fir and Ilex berries. 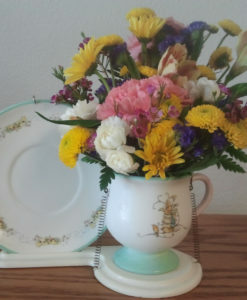 Delivered in a ceramic, hand-painted gingerbread house with a peppermint colored handle.